Personally, I think play dough should be a staple in every household that has kids. It’s something my toddler and I get out on a daily basis, but there are only so many times you can make a worm family before it begins to get a little old. So recently, I spent some time searching the web for fun play dough activities. I found some pretty neat stuff and wanted to share it with you today. My toddler and I have had a lot of fun experimenting with some of these ideas, and I hope you find the same to be true for you! I did categorize the ideas I found into sections. Unfortunately, many of the play dough activities fit in more than one category, but I had to make a choice. I encourage you to spend some time looking at the whole list. This idea is similar to a few other ideas in this post, and I know the princess theme would do well in our house. I thought this snowman kit was a super cute idea! This is a great activity to make in a classroom or during a play-date. You can have the kids assemble the kit and make a snowman now, or let them take it home for a rainy day. This cute play dough activity includes printable labels, which makes it a great Christmas activity for the classroom or just for fun. There is a cute poem at the bottom of it that is editable if you want to write something in of your own. This STEAM (science, technology, engineering, arts, and math) activity allows for critical thinking while still having fun with play dough. The objective of this activity is to construct a freestanding tree (with leaves). The “tree” is sitting in play dough. 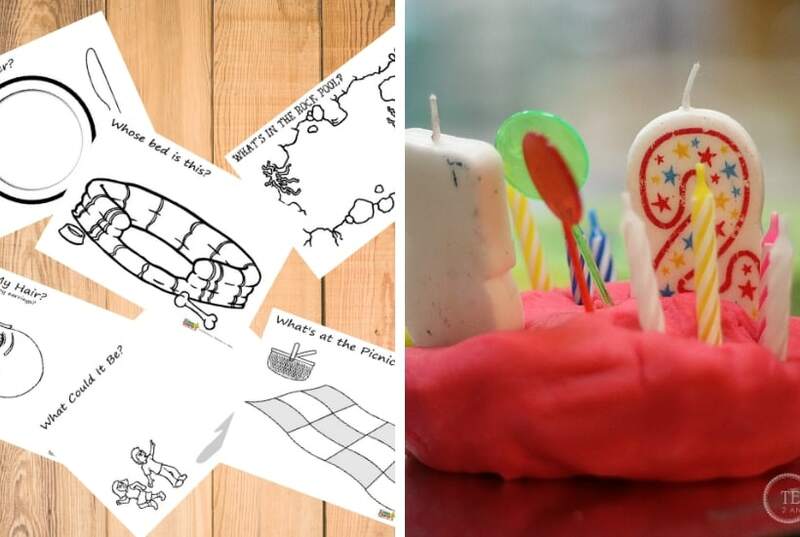 This blog post has clear-cut instructions to make this a perfect learning activity. I loved the idea of taking playdough outside with your little one. Getting some fresh air is almost always the right thing to do, and this activity really allows for your child to use their imagination. I thought this was a nice idea – using trees as your canvas. You are making little portraits on tree bark. This is a fairly open-ended activity, so encourage your little one to make a picture of themselves, a friend, or the cat at home. This playdough activity for toddlers is a great mixture of fun and learning. 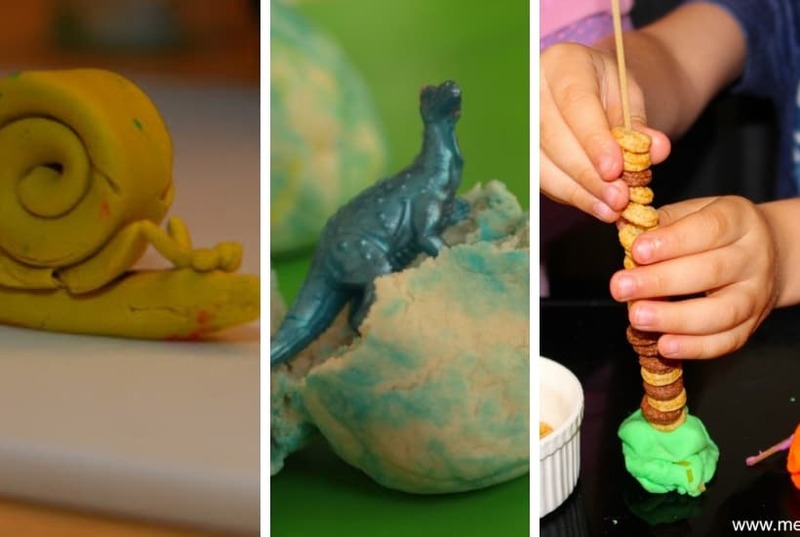 You can make the playdough fossils with anything you have around the house. The fun in this activity is trying to guess correctly which items were used to make the fossils. This play dough activity is a great interactive way to teach your child about the moon cycles. This activity can also help build your child’s fine motor skills since they have to mold the playdough into specific shapes. Learning about insects can be fascinating, and it’s definitely something your child will enjoy learning about. 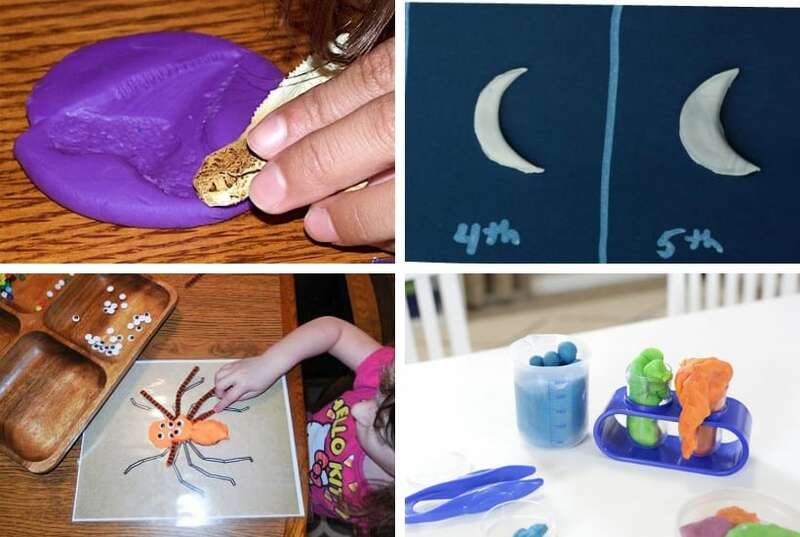 This play dough activity includes a few free printable spider and insect template so you can turn this art project into a science lesson. We all want our kiddos to be excited by science. 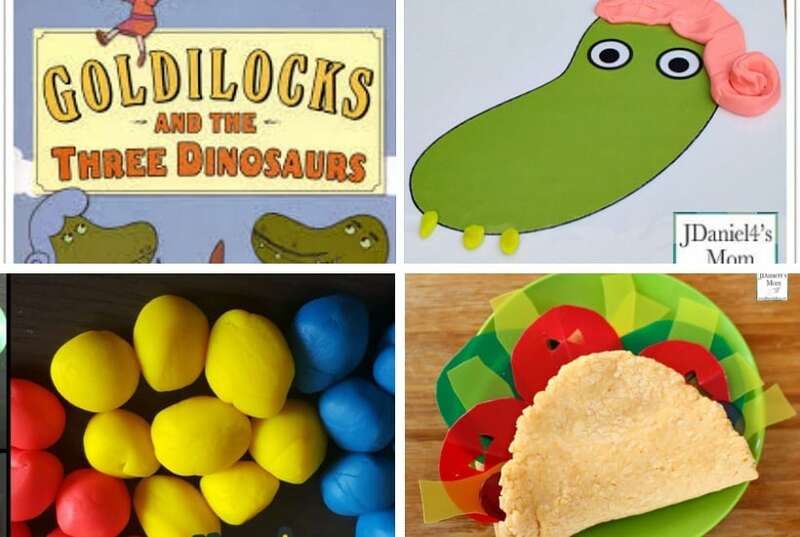 This play dough activity is all about getting your kids excited about science. Keep in mind that mixing play dough colors is a part of this experiment because it’s important to let them explore the playdough on their own. This activity is a bit above my toddler’s head right now – but it’s something I added because I love it and it’s something I plan to use it in the future. 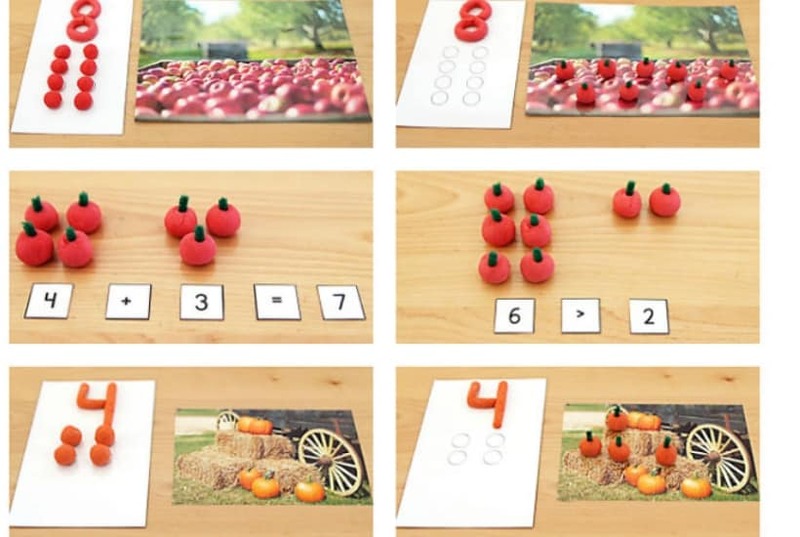 This is a set of (FREE) fall math printables that are intended for use with play dough. 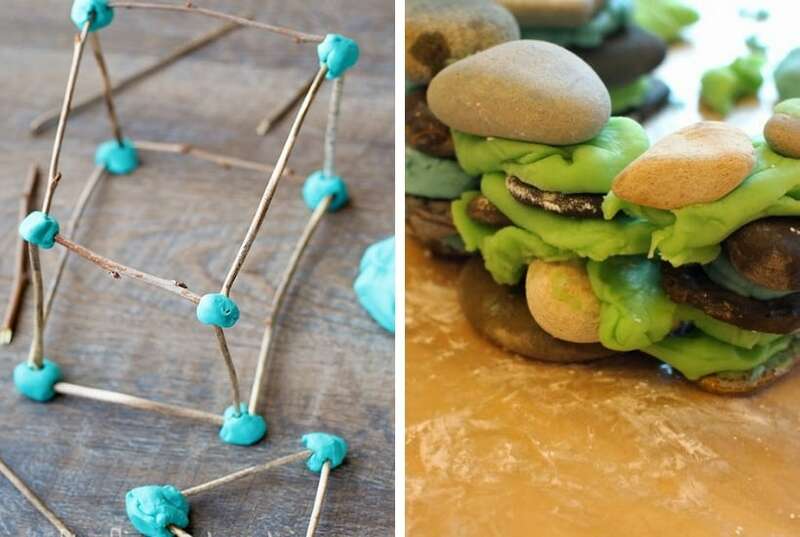 This play dough activity was such a good idea (and super simple!) Use your phone to look up Patience with Herbert the Snail. This song (along with the playdough snail concept) can help your little one learn about patience. This simple play dough activity is a great one for toddlers. This can help improve fine motor skills, as your child will need to move the play dough into the shape of an “egg”. Bonus points if you have dinosaur cookie cutters! 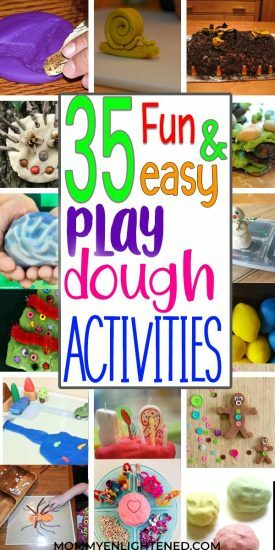 This is a great playdough activity for toddlers, as it’s definitely geared toward improving fine motor skills and hand-eye coordination. This activity takes minimal supplies, so it’s a good last minute “art” project. This play dough activity is no doubt a bit too old for my toddler, but I still really like it. The concept is simple. Find some small sticks (twigs work best) and use the play dough as the base. You are fostering creativity and good fine motor skills. I don’t know about you, but my toddler is a staunch rock collector. This is a simple learning activity that can be done with your toddler that makes use of their rock collection while providing a brief introduction to the mechanics of building something. I don’t know if you have used playdough mats before, but if you haven’t you should! Playdough mats kind of remind me of coloring books. They give you a basic template and allow for your child’s creativity to create the rest of the art piece. This particular playdough mat is of a pickle-shaped dinosaur shape. It is up to your children to create the rest of the dinosaur. This activity goes along with a book – which makes it another great option for a learning and fun activity (we are totally picking up the book today!) This play dough activity shows your child what happens when you mix colors together, which is an exciting way to learn about that! This playdough activity includes a playdough recipe in addition to the pretend-play inspired activity. I don’t know why, but I have always liked gingerbread men. My daughter LOVES decorating cookies, so this playdough activity is perfect for her. This blog post also includes a recipe for gingerbread playdough, so you may have all of the supplies necessary around your home! I don’t know about you, but my little one loves playing with cars. Making her own little car village was really exciting for her. This blogger included ten free road templates so your little one can have a map to help them create their new little city. 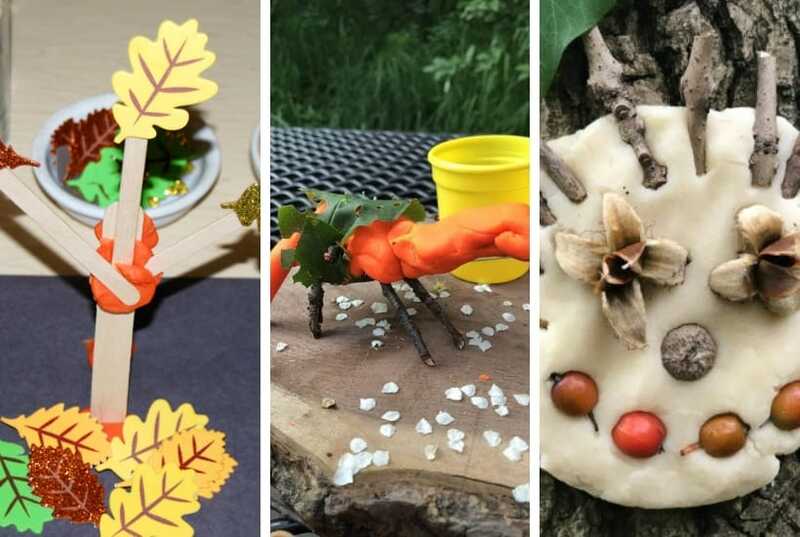 This playdough activity is similar to the snowman one – except you are building a zoo (which is a bit more work!) This project will take more supplies, as you need popsicle sticks and some way to print off the zoo animals. The result is cute and something most toddlers would play with over and over, so I think it’s worth it! If you have a child that enjoys digging, this digger playdough activity could be a lot of fun. This is a great open-ended activity that will allow your little one to explore their imagination. This blogger’s mission is to offer you (the parents) as many free printable resources as possible. Right now, she’s giving away ten different printable playdough mats that are all labeled with questions. I think my favorite is “what’s for dinner”? I can only imagine what the toddler would create! This is definitely on my list of toddler-friendly playdough activities. There is (almost) no better activity for a child’s birthday than playing with playdough. I don’t know why..but kids LOVE to make pretend food out of play dough (or maybe that’s just my toddler?!) Either way, this is a cute idea that would make for a good party game. Natural is not necessary for everyone, but it’s a great option for celiacs and kids with food allergies. 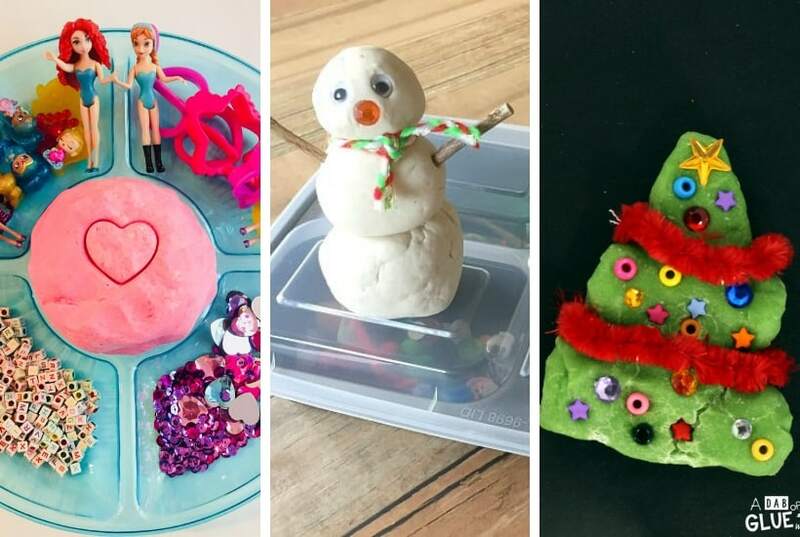 I thought it was really great that this blogger created a recipe that was safe for all kids to make – as NO child should have to miss out on the fun of playdough! 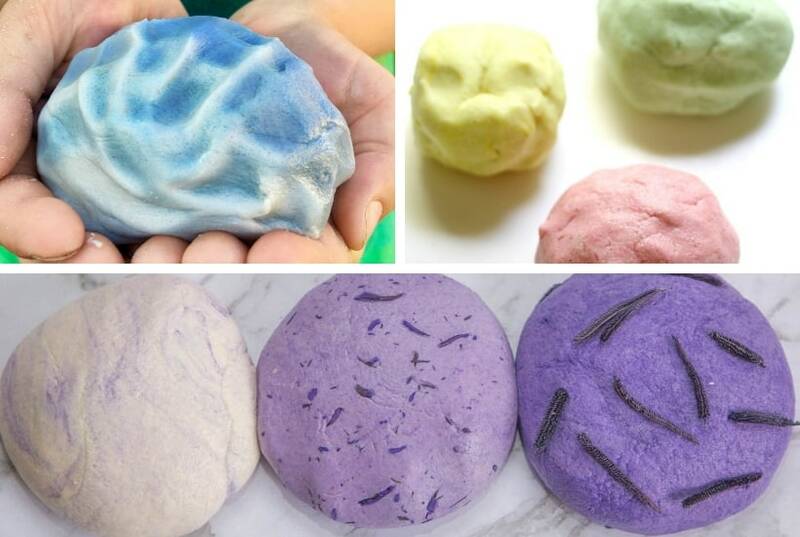 If you are looking for a fun playdough recipe that is calming and provides sensory stimulation, this Lavender playdough is a great fit. We love this recipe since Lavender is known for reducing anxiety in people (plus it smells nice). 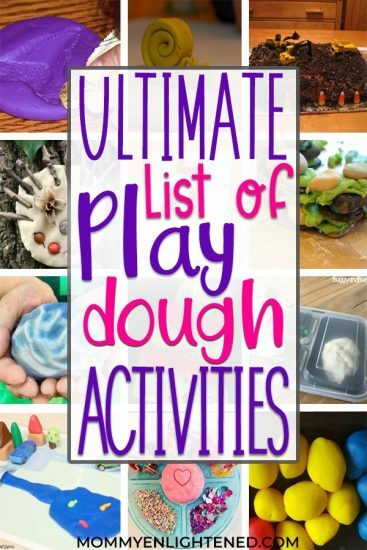 I hope you enjoyed this list of play dough activities. If nothing else, I hope it gave you some inspiration to do something creative with your kiddo today. I would love to hear your thoughts in the comment section below. 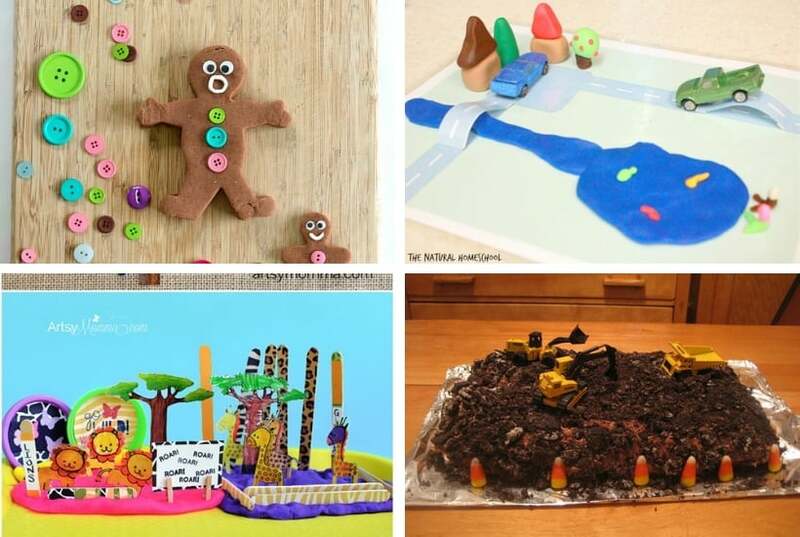 Did you try any of these playdough recipes? Which was your favorite?